The Internet provides the vastest platform for information, knowledge and data source to its users that has ever been created by the mankind. However, from this vast sea of information, picking out your required data can perhaps be a very challenging task. Here comes the role of Web Data Scraping that provides an easy path for its users to extract their desired information without getting drowned and lost in this vast sea. What exactly is meant by the word ‘Web Scraping’? Web harvesting, Web Data Scraping or Web Data Extraction, are all different names for the same thing i.e. Web Scraping. It is the technique of fetching content and data by using bots and tools from different websites all over the internet. The harvested data can be saved to a database in spreadsheet (table) form or to any local file in your computer. Almost as long as the web is present, Web data scraping has also been present around. Scraping processes may be found in different programming languages. Ruby, Java, Node or Python are among the most acknowledged ones. What convenience does it provide to the users? Most of the websites show data that can only be viewed through a web browser. They do not provide an option to save a copy of it for later and personal use. The only way then left is to copy and paste the content manually, that indeed is a very mundane and exhausting task that can take several hours or sometimes even days for its completion. 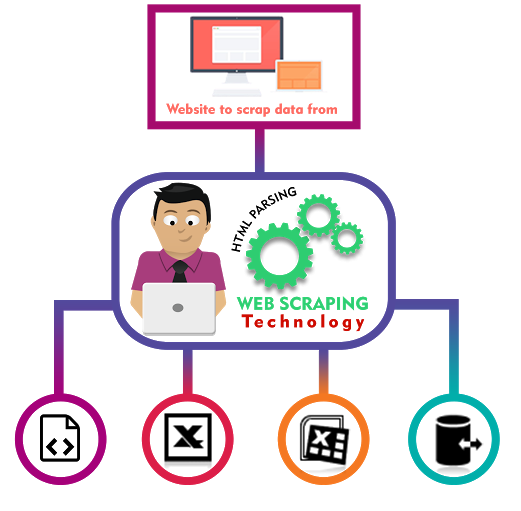 Web scraping is the method of making all this tedious work automatic so that one does not need to perform all of this work manually. With the help of web scraping software, this hours-consuming task becomes just a matter of seconds or minutes. 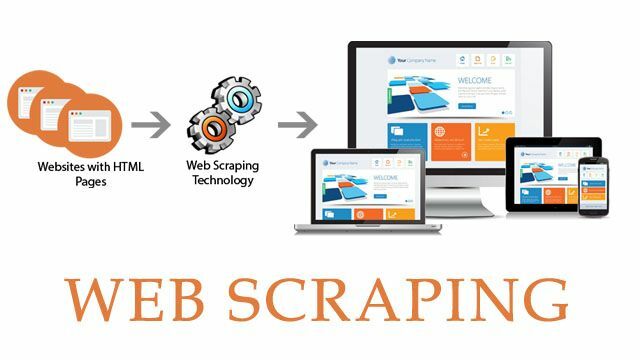 As per your requirements, a web scraping software will first search and then harvest data from different pages of multiple websites automatically. It can be customized for a particular website or can be configured to be used for many other websites. Saving data in your computers is just a click away with the data scrapers! The tools and bots (i.e. software) of web data scraping are strategized to filter databases and harvest desired information. Let’s have a look at some of the best data scraping tools. io: It is a browser-based web app which utilizes data crawling technique to extract large amounts of data from thousands of online sources in a single API. Webhose.io assists harvesting data and content in around 250 different languages and saving them in different formats including RSS, XML, and JSON. Scrapinghub: It is a cloud-based bot that helps hundreds of developers to extract valuable data. It utilizes Crawlera, a smart proxy changer that assists in escaping bot-counter systems to crawl bot-secured sites smoothly. Scraper: It is an extension of chrome that allows confined data fetching, but is useful for exporting data to Google Spreadsheets, and for doing online research. It is a free tool which works directly in your browser and auto-creates compact XPaths to define URLs to crawl. 80legs: Strong yet flexible, 80legs is a crawling tool that can be configured according to your requirements. It allows harvesting huge amounts of data along with the choice of downloading the fetched data simultaneously. VisualScraper: It is another web data scraping tool that can be used for collecting particulars from the websites. It fetches the data and results in real-time. Furthermore, the data can also be transported in different formats like XML, SQL, JSON, and CSV. Data Scraping- Legitimate or Illegitimate? This is a topic of long debate. Keeping it brief, in certain conditions, web data scraping can be considered illegitimate. One could get in difficulty if the policies of the website from which he is extracting the content and data specifically forbid copying and downloading its data. 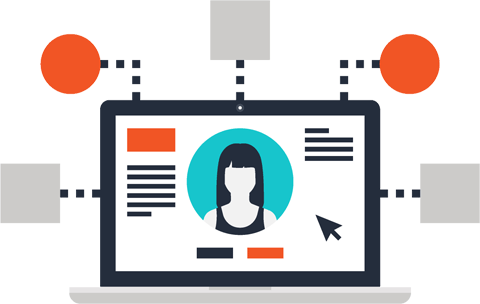 However, generally, web data extraction is an allowed act when reasonable care is taken not to exceed their limitations and regulations. Usually, it is fine to extract data if it is available for the public (the data that is being fetched is not secured behind a password-protected system). The thing that is potentially troublesome is if the extracted content is shared further. To give an example, downloading data from one website and using it on some different website (as your own), unless allowed, could create copyright defiance and becomes illegitimate. Keep in mind that the copyright legislation typically varies from country to country. For instance, in Australia, it is illegal to extract and save personal information such as names, contact numbers, email addresses, residential addresses etc., even if they are open to public. Majority of the copyright laws, however, grant situations in which rewriting some, probably copyrighted, data in summation or in an imitative state is contemplated as “fair use”. On an ending note, web data scraping can be an indubitable weapon with which your business’s startup could attract the required intelligence to excel in the competitive market and become admired by the customers and other companies of the field. 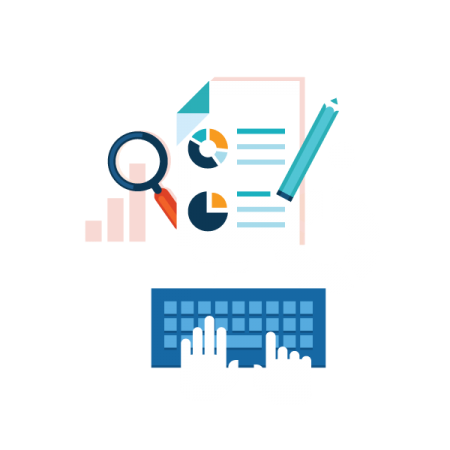 Working with the best web data extraction company could be one of the most important decisions to make in this regard. Creativexsoft– The Company, offers its customers a wide variety of top-notch and par excellence web data scraping services by all fair and ethical means. You will not find any comparison of us with any other related company in the town. We assure that our customers get better than what they have even imagined in the first place. Because YOU THINK, WE CREATE!